Archer on Airguns: Now you can buy Airgun Hobbyist Magazine from Archer Airguns! 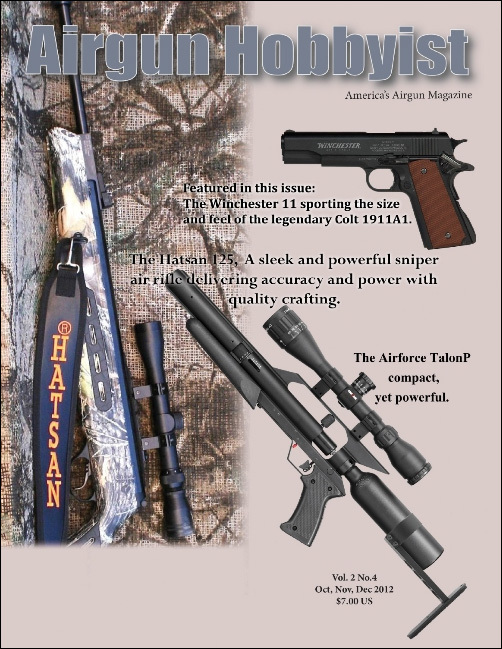 Crosman Corp. posted a recap of an article published in the October 2012 issue of Airgun Hobbyist Magazine. AirForce Airguns has posted the complete article about the TalonP that was published in the October 2012 issue of Airgun Hobbyist Magazine.